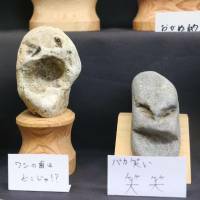 SAITAMA - A museum in Chichibu, Saitama Prefecture, has been drawing more visitors since its unique collection of more than 1,700 rocks resembling human faces, including Elvis Presley and the late Russian President Boris Yeltsin, gained online fame. 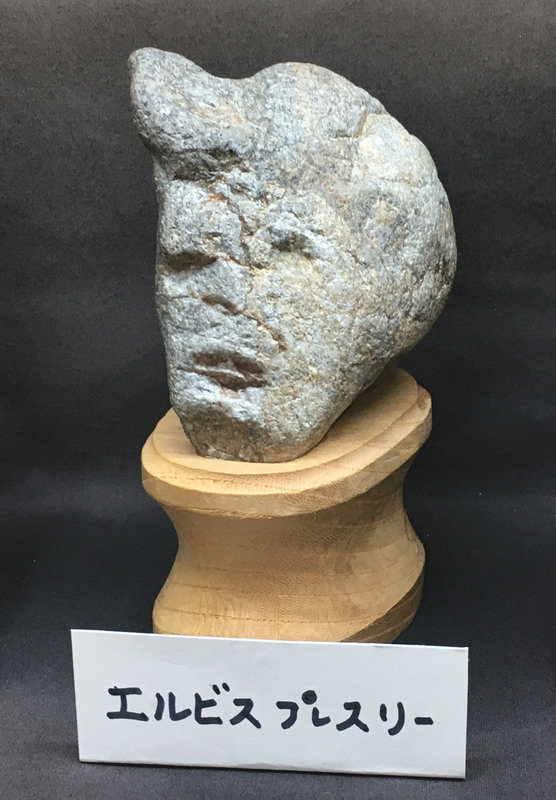 At Chichibu Chinsekikan (museum of rare rocks), a rock that looks like a man sporting a pompadour hairstyle, titled “Elvis Presley,” and other rocks that simply look like crying faces or laughing faces because of cracks or patterns on their surface are on display. 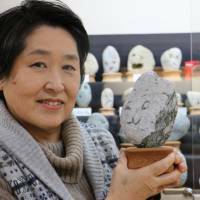 Its current curator, Yoshiko Hayama, 67, said the rocks were collected by her father, Shoji Hayama, who opened the museum in 1990. “There’s so many that I can’t display all of them,” she said with a laugh. 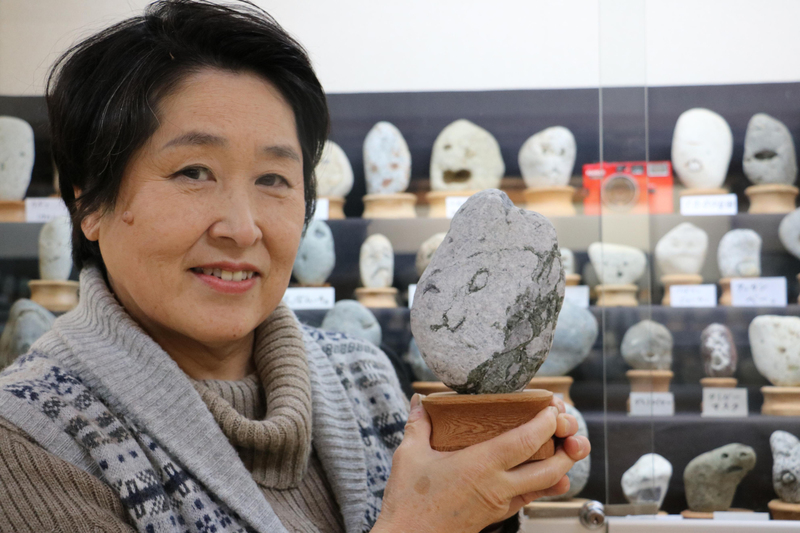 Her father, who died six years ago at 89, started what turned out to be his 50-year-long hobby of amassing rocks that resemble human faces after an acquaintance gave him a rock that looked to have eyes and a mouth because of a seashell embedded into the rock. 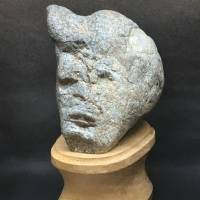 The idea apparently came to her father in a dream, she said, with a vision of that rock urging him to amass similarly unique stones. As his collection grew, he decided to share it with other people. “At first, I thought it was just silly pastime my father had. 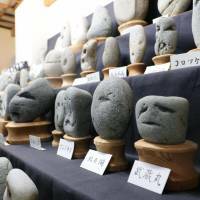 But now it is entertaining so many visitors,” Hayama said. The museum went viral online after magazines and TV programs featured it as a “geeky” tourism destination. 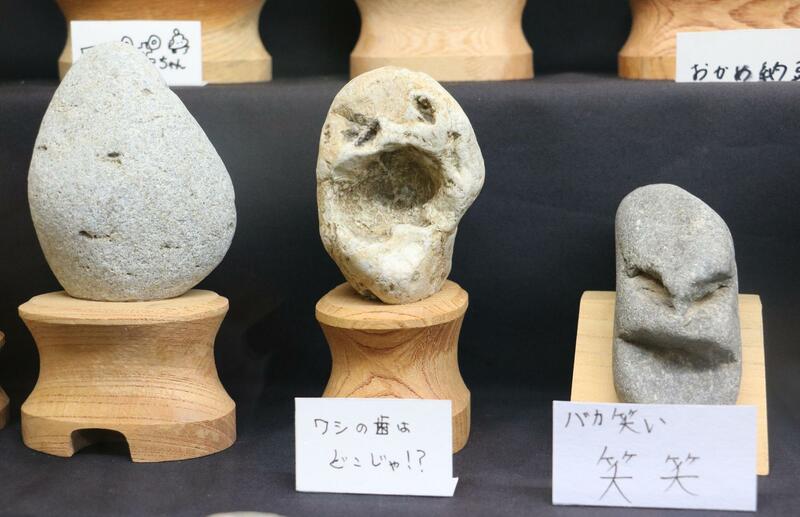 The rocks, most of which were found on the banks of the local Arakawa River, all bear titles or names. Some are named after celebrities while others have names that best describe the expressions they sport. 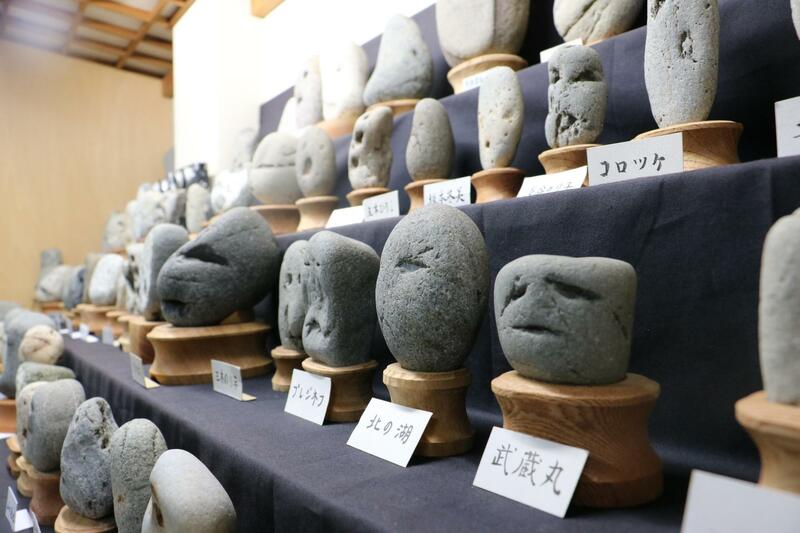 The museum is a 10-minute walk from Chichibu Railway’s Kagemori Station. It is closed on Tuesdays and charges ¥400 for adults and ¥200 for junior high school students and younger visitors to enter.